It with joy in my heart that I share that at last flowers have been placed on Erastus P. Hall’s grave in Nashville. 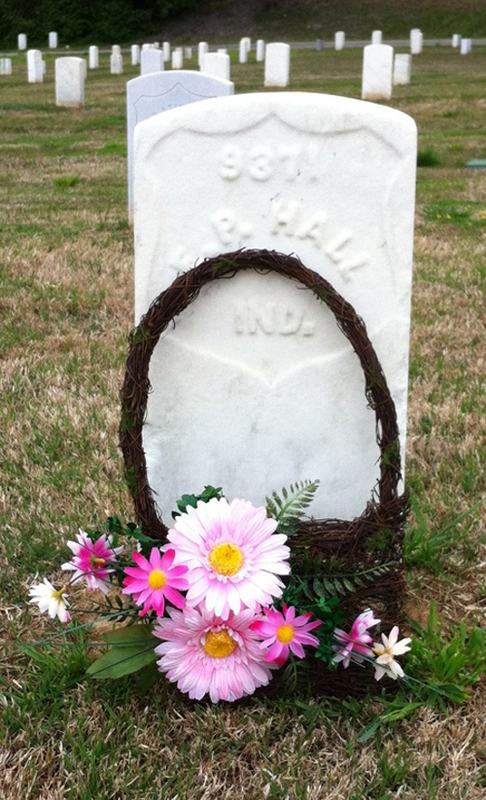 His grave was kindly visited and decorated today, April 14, 2016, with these beautiful flowers by Reena Parkey King, the greatgreatgranddaughter of Diantha Samantha Hall, who was the sister of Erastus P. Hall. Thank you, Reena, for honoring his life in this way, which is so very much appreciated.